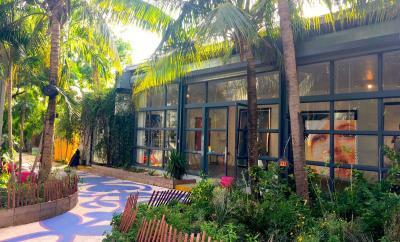 SmithDavidson Gallery is pleased to announce the opening of a new location in the city of Miami! In addition to the gallery in Amsterdam, we are delighted to bring our unique collection of modern and contemporary artwork, photography, and Aboriginal Australian paintings to the South Florida region. Miami has become a destination to experience artwork and is now at the forefront of the world’s evolving arts scene. For over a decade, SmithDavidson Gallery has annually exhibited at the prestigious Art Miami fair. We will now have a permanent presence to engage with a lively collecting audience. Located within the vibrant and developing Ironside area of the Upper East Side, the environment features creative businesses set among courtyards. The 4,000 square foot gallery includes exhibition space, an office, a private viewing room, and onsite storage. The inaugural exhibition will be a group show providing an overview of the collection. Details of the opening reception will be sent in an invitation in the spring.